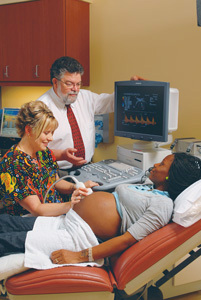 Every day, the physicians and nurses working in the labor and delivery unit of the University of Maryland Medical Center (UMMC) care for pregnant women and newborn babies with a range of complex health conditions. From diabetes and high blood pressure to alcohol and substance addiction, patients throughout Maryland come to receive highly specialized care from our expert medical team. 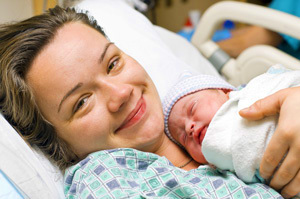 Every mother, no matter her medical history and socioeconomic background, deserves the best possible care during the intimate moment of childbirth. 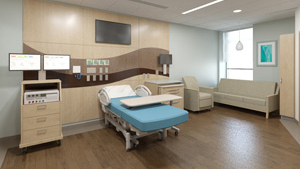 While our high level of advanced care is undeniable, the aesthetics and equipment of the labor and delivery unit is in need of a major upgrade. Your support is needed to make this comprehensive renovation a reality. Labor and delivery campaign by the numbers. As new equipment and treatments continue to develop, it remains crucial for UMMC to stay on top of the latest health care trends. 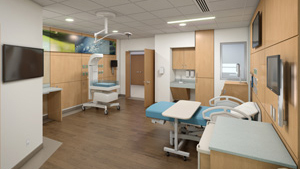 The new labor and delivery unit fulfills an immense need, providing more space to patients and upgrading outdated facilities and equipment. Through this renovation, we want our mothers to focus more on what matters most — the health and wellbeing of their new child. Please consider making a gift to help us achieve this goal. 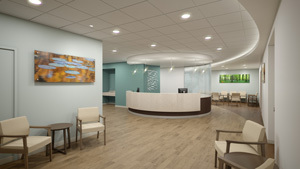 Questions about the labor and delivery renovation? Call Suzanne Boyle, Senior Director of Development at 410-328-2391 or email sboyle@umm.edu.